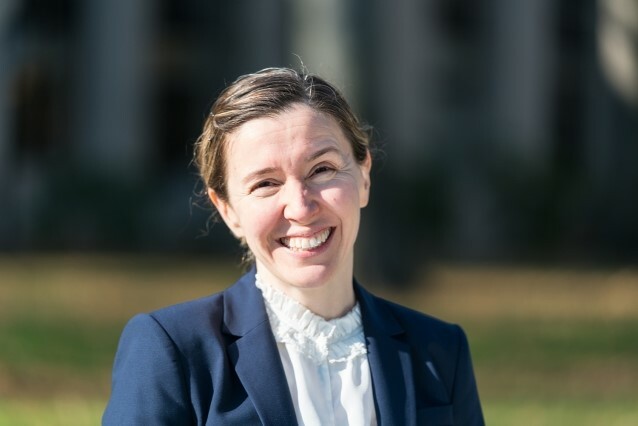 Turkish American Dr. Asu Ozdaglar, the Joseph F. and Nancy P. Keithley Professor of Engineer at the Massachusetts Institute of Technology (MIT), has been named the new head of the Department of Electrical Engineering and Computer Science (EECS). She has served as the interim head of the department since July 1, 2017, after former head Acanthi Chandraksan was named dean of the school School of Engineering. The EECS Department is the largest academic unit at MIT. It currently enrolls 1,297 undergraduate majors and 916 graduate students. Dr. Ozdaglar is best known for her contributions in the areas of optimization theory, economic and social networked systems, and game theory. Her contributions to optimization theory range from convex analysis and duality to distributed and incremental algorithms for large scale systems and data processing. A large part of her research also focuses on integrating analysis of social and economic interactions into the study of networks. Her contributions to game-theory include learning dynamics and computation of Nash equilibria. In October 2014, she became director of the Laboratory for Information and Decisions Systems (LIDS) and associate director of the Institute for Data, Systems, and Society (IDSS). She is also a recipient of the prestigious Donald P. Eckman Award from the American Automatic Control Council, and she is the inaugural recipient of the Steven and Renee Finn Faculty Research Innovation Fellowship at MIT. Dr. Ozdaglar received her Bachelor's degree in electrical engineering from Middle East Technical University (METU) in Ankara, Turkey in 1996 and SM and PhD degrees in electrical engineering an computer science from MIT in 1998 and 2003.